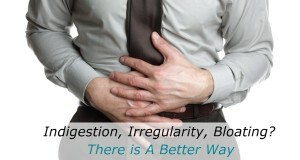 Welcome to the Home Page of Dr. Tarun Mullick and Gastrointestinal Health Specialists. 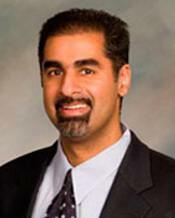 Dr. Mullick is a “Certified” Therapeutic-Interventional Gastroenterologist with Offices locations at 2631 Williamsburg Ave,Geneva,Il. ;Sycamore ,Il.,Arlington Heights and Schaumberg,Il . Now offering lower priced Colonoscopy in our accredited office facility to counter CDC reported lower rates of Screening in Illinois which is costing Illinois more deaths from Colon Cancer. We are willing to help–to lower Colon Cancer death rates.Certified Nurses/Anesthesiologist on board during Colonoscopy. Our price is 2 to 3 times Lower than the 2 facilities located across from us,thus Saving U 40-70%. Even our Physician Fee is much lower than the Physician charge for their Gastroenterologists. In Illinois,Physician Fees range from 298$ to 477$ and Facility Fees range from 1489$ to 3625$ based on Actual data provided by 4 Insurance companies. Be assured-Our Charges are lower than others in Kane County,Dupage County,Dekalb County and many other areas within 30 miles of Geneva,Il. Main reason is that we are Independent and so we don’t have to pay someone’s overheads Pl.Call us at 630 232 2025 for Prices in most locations. We take your health seriously. Check out some additional resources such as Katie Couric’s interview with George on ABC News. Katie decided to take along her friend KIM also for Colonscopy because she turned 50. Well Katie’s colon was fine.But Kim had cancerous Polyp in advanced state-but it was removed immediately by her gastroenterologist–saving her life.PLEASE SEE THIS VIDEO.It could SAVE your life or your friend’s life. The painless Colonoscopy we offer assures any fear or dreadfulness .CALL US and enquire about our affordable pricing plan. Our prices are 2000-3000$ lower than competitors next door. Here is some last information about why you should call us today! Did you know that everyday 7-10 persons die in Illinois from Colon Cancer. Did you know that 25% of people over 50 have Polyps that are the source of Colon Cancer? Don’t put it off any longer, you could be the one–as odds are 1 in 4. Did you know that these deaths are Preventable? ALMOST ALL— Yes Almost ALL are PREVENTABLE. Did you know– these 7-10 people who die daily, did not get a Colon Cancer Screening on time. Spead the word: Save 50,000 unnecessary deaths every year. Please see the video for Colon Screening: Hear Dr.Oz tell you that 25% of people have Polyps that are the source of Colon Cancer. It is a must for all, especially those who have not been been screened. Dr.OZ is interviewed by Larry King on CNN. Please read more on these cancers. If concerned about potential cancer of Stomach,Liver,Colon,Pancreas ,Esophagus,Call Dr.Mullick immediately because he feels that early detection is the best way to save your life as well as medical costs. Now offering Office based Colonoscopy at the request of Insurance co..We make it available to ALL. Please call 630 232 2025 for details. Below is a story of 4 Women survivors-these women are from 28-38 yrs. old-one lives in Chicago.